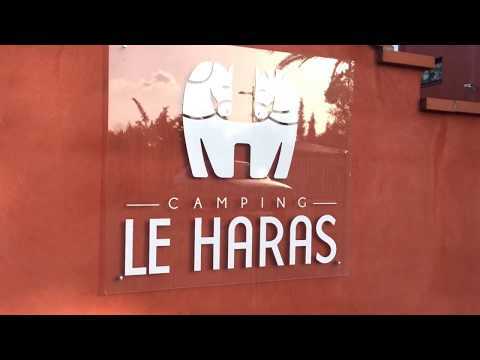 Camping Le Haras | Jetzt günstig buchen! Le Haras liegt in Palau del Vidre (dies bedeutet in katalanisch: der Glaspalast! ), nur 7 km von den Stränden von Argelès entfernt und im 4,5 ha großen Park eines ehemaligen Jagdgebäudes aus dem 19. Jahrhundert. Spacious pitches from 80m² to 120m² and delimited by hedges. Shaded, half-shaded or sunny according to your preference. Our pitches are suitable for tents, caravans or motorhomes. All our pitches are equipped with an electrical terminal with 10 Amp electricity (extra charge) and require an adapter for European plugs. For the pitches, the days of arrival and departure are free. For more peace of mind, you have the possibility to rent a refrigerator and a gas plancha! Spacious pitches from 80m² to 120m² and delimited by hedges. Shaded, half-shaded or sunny according to your preference. Our GRAND CONFORT pitches are suitable for caravans or motorhomes. All our GRAND CONFORT pitches are equipped with an electrical terminal with 10 Amp electricity (included), and a water and drainage connection (included) and require an adapter for European outlets. For the pitches, the days of arrival and departure are free. For more peace of mind, you have the possibility to rent a refrigerator and a gas plancha! The COTTAGE is a pleasant and functional mobile home that can accommodate up to 5 people. With a surface area of 25m² it has 2 separate bedrooms, a spacious bathroom with shower and sink, a separate toilet, a dining area with an equipped kitchen and a wooden terrace with garden furniture. Pillows and blankets are provided. Remember to bring your own sheets, towels... You have the possibility to buy disposable sheets for single use when you make your reservation. The CLASSIC mobile home is a simple and economical mobile home that can accommodate up to 4 people. With a surface area of 20m² it has 2 bedrooms, a bathroom with shower and sink, a separate toilet, a dining area with an equipped kitchen and a terrace with pergola and garden furniture. Pillows and blankets are provided. Remember to bring your own sheets, towels... You have the possibility to buy disposable sheets for single use when you make your reservation. The CLASSIC mobile home is the only rental where pets are allowed! The LOGGIA mobile home is a comfortable and spacious mobile home that can accommodate up to 4 people. With a surface area of 25m², it consists of 2 spacious bedrooms, a bathroom with shower and sink, an ergonomic and functional kitchen and a living room with a large bay window for maximum light. Its 9m² covered terrace with garden furniture will allow you to enjoy the outdoors even in bad weather! Pillows and blankets are provided. Remember to bring your own sheets, towels... You have the possibility to buy disposable sheets for single use when you make your reservation. For holidays that combine comfort and nature, choose a stay in a Bungalow Tent! With a surface area of 30m² that can accommodate up to 5 people, its 2 bedrooms, its equipped kitchenette and its large covered terrace with garden furniture, this equipped tent is perfect for a return to nature! Not being connected to water, you will find a fountain nearby and the campsite's facilities a few steps away! Pillows and blankets provided. Remember to bring your own sheets, towels... You have the possibility to buy disposable sheets for single use when you make your reservation. The Coco Sweet is a new concept that is at the same time functional, cosy, playful and fully equipped. It is a more affordable intermediate solution than the mobile home and more comfortable than the tent. With a surface area of 16m², it can accommodate up to 4 people, it has 2 bedrooms, an equipped kitchenette and a covered terrace with garden furniture. Discover the space we have created for the Coco Sweet, a green haven reserved for pedestrians. In the centre you will find a large table to gather in the shade of a pergola and a fountain. 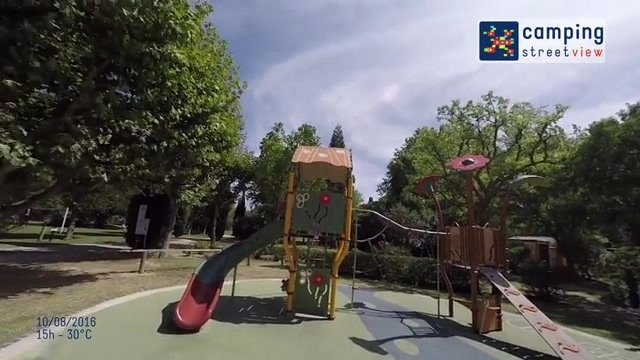 Not being connected to water, they are located near the sanitary facilities of the campsite. Enjoy the pleasure of camping with the comfort of a mobile home! Pillows and blankets provided. Remember to bring your own sheets, towels... You have the possibility to buy disposable sheets for single use when you make your reservation. The CONFORT mobile home is a spacious and friendly mobile home that can accommodate up to 6 people. With a surface area of 28.1m² you can enjoy a warm and friendly kitchen area with a central island that will serve both as a work surface and a dining area. It has 2 bedrooms, one with a large double bed of 160 x 200 and the other with 2 single beds of 80 x 190. An independent living room serving as a 3rd bedroom with a sofa bed convertible into a 130 x 190 bed, a separating curtain and a door opening onto the terrace! The CONFORT mobile homes are on landscaped pitches, have a spacious terrace with an integrated lounge and a view of the green spaces! For your comfort, they have a television, a Bluetooth speaker and a gas grill. Pillows and blankets are provided. Remember to bring your own sheets, towels... You have the possibility to buy disposable sheets for single use when you make your reservation.